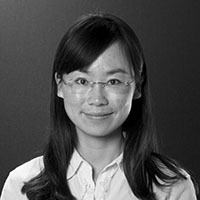 At the Dunlap Institute, Shaojie Chen works on a variety of instrumentation projects, including the IRIS and OSIRIS spectrographs. Chen received her doctorate from the University of Chinese Academy of Sciences. She joined the Dunlap Institute in March 2014.